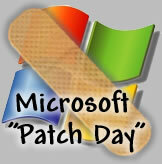 There could be an easy explanation for the unusually large size of Patch Tuesday this month. Four patches slated for release last month were dropped at the last hour, including a Windows-Visual Studio update that appeared in the advanced notification but never appeared. If all patches were delivered as expected, it would tie a record for most patches issued in a single month. The last time Microsoft issued this many patches was in August 2006, when ten patches fixed Windows issues, and another two fixed Office problems. It is fairly likely that one of the Office updates will fix holes now being exploited by a range of zero-day attacks, most of which have appeared since December of last year. At least four unpatched issues exist, according to security researchers. Most of the patches will come for Windows — five in total – with at least one being rated “critical.” It is possible that the first confirmed flaw in Windows Vista could be fixed, which involves a memory buffer issue in the Win32 library. BetaNews tests have shown the issue to also affect XP and older versions of Windows. Of the rest of the patches, one each is expected for the following: an important patch for Windows and Visual Studio; an important patch for Step-by-Step Interactive Training; a critical patch for Microsoft Data Access Components; and a critical patch concern the company’s OneCare, Antigen, Windows Defender, and Forefront security tools. As is standard practice, Microsoft has not released any details of the issues to be fixed by Tuesday’s release. A Microsoft spokesperson confirmed to BetaNews this afternoon that it has learned its Windows Live OneCare anti-virus package has failed a test conducted by the respected British laboratory Virus Bulletin, disqualifying it from carrying the “VB100” logo denoting 100% detection of a selected battery of common “in the wild” viruses. Whereas one job of a personal firewall is to block potentially malicious inbound connections to your machine, another is to block potentially malicious outbound connections. For example, if some malware does find its way onto your system and then it attempts to “phone home” with whatever sensitive data it may have found, a good personal firewall should stop most outbound communications dead in their tracks until the end-user explicitly allows it (one problem with such conditional blocking is that end-users are rarely presented with enough information on which to base a decision). An old theme with the personal firewall that Microsoft offered for Windows XP (Service Pack 2) is how it was pretty useless given the way it only offered inbound blocking. In fact, back when that firewall first came out, I pointed out how it was worse than having no firewall at all. With no firewall, at least you know you have no firewall. But, with a firewall that doesn’t work, you’re led into having a false sense of security. In Windows Vista, Microsoft says its new Windows Firewall is now two-way, that it adds outbound protection, but a closer look reveals that this is more deceptive marketing spin. With Windows Vista what you get turns out to be a half-cocked firewall that’s hardly worth the upgrade. Vamosi goes onto describe how Vista’s personal firewall has the blocking and tackling of outbound connections backwards. Block the type of outbound communication (specific application accessing a specific network port) this time. Block the type of outbound communication permanently. Allow the type of outbound communication this time. But, with Windows Vista’s firewall, it works the other way around. All outbound communications are allowed permanently until a rule has been created to explicitly block it. Despite Vamosi having routinely voiced his concerns about Vista’s firewall before Vista shipped, Microsoft moved forward with what he believes to be a “half-cocked” design anyway. 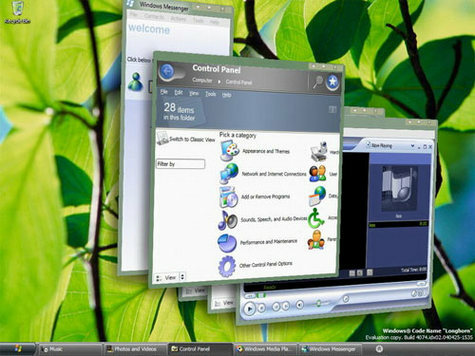 According to Vamosi, Microsoft’s explanation for its decision has been that having to walk through the many wizard-driven pop-ups that would occur shortly after the first time Vista gets installed would be a poor out-of-the-box experience and that users would become de-sensitized to the prompts. Vamosi disagrees and so do I. Offering an outbound-blocking that, out-of-the-box blocks nothing until an end-user or network administrator takes explicit and deliberate steps to block it. Writing exceptions is fine, except if you are a solo home user with no idea what to block or even how to block it. Home users of Windows Vista are again paying the price for having a stripped-down operating system designed for a corporate enterprise running on their PC. Unless you are an IT administrator, unless you know where to look, you’re unlikely to tweak the advanced firewall settings. Exceptions control how programs communicate through Windows Firewall. Add a program or port exception to allow communications through the firewall. As you can see it has a link that says “How do I view and edit all properties?” Eureka! I thought. That’s where I’ll get to see how the Windows Firewall is configured to block either in or outbound communications with the Core Networking component. Allowing a program through the firewall, sometimes called unblocking, is when you create an exception to enable a particular program to send information back and forth through the firewall [DB’s note: There it is! Back and forth! So, is this both in and outbound?] 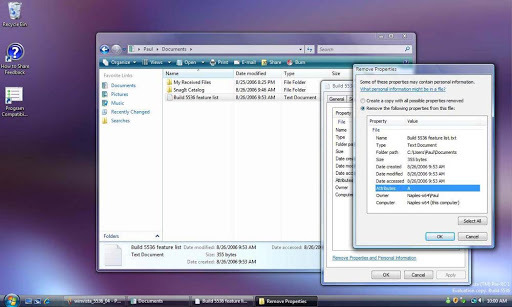 You can also allow a program through the firewall by opening one or more ports. Unfortunately, as my little test with Firefox revealed, this FAQ answer is pretty much useless. As it turns out, there is a way to configure outbound blocking in Vista’s firewall. If you go to Control Panel > System and Maintenance > Administrative Tools > Windows Firewall with Advanced Security, you will see Vista’s current lists of inbound and outbound and outbound rules (see graphic below, sorry about the text pixelation.. this often happens when resizing graphics). Added bonus for me: the Firefox rule that I created earlier appeared on the inbound list. So now we know what that’s for! But, there are still three major problems. First, the one Vamosi alluded to in the first place. Applications should be blocked by default. Second, when accessing the primary UI for Vista’s firewall, it is there that users should have very wizard-driven access to both in and outbound rules (or, at the very least, a fast link to get to the rule authoring tool over in Control Panel’s admin area). Third, the rule authoring interface is really for rocket scientists. For example, when I went to browse for an application to block, it started me in the System32 directory instead of just giving me a list of applications. Then, where I should have had the opportunity to block specific domains (something any firewall should be able to do in its sleep), I was only allowed to key in IP addresses. So, the bottom line is that once again (actually, nothing has changed), the Windows Firewall is actually worse than having no firewall at all since (a) its presence leads you to believe that your computer is protected by a firewall when it really isn’t (a false sense of security), (b) the system offers nothing in the way of a suggestion that encourages users to establish outbound rules, and (c) is nearly impossible for mortals — the majority of Windows users — to configure. It would behoove Microsoft to follow Vamosi’s advice on this by doing two things. First, engage outbound blocking by default. Second, when, through its “blocked by default” policy, a dialog box asks the user what Windows should do next, make sure it’s dirt simple. Third, as a part of that dirt simplicity, allow inbound blocking by not just IP address, but by domain or subdomain as well. For example, every time a Web page (including some of ZDNet’s) pulls content in from the amch.questionmarket.com subdomain (as opposed to just questionmarket.com), my browser has to think about it for well over a minute before the page finally loads, if it loads at all. The problem has me wishing that, by configuring my firewall to block certain domains, my browsers will simply overlook those domains when it hits Web pages that call upon them. Microsoft will get bonus points for adding right-click firewall rule programming from Internet Explorer. A second security vulnerability has been discovered in Microsoft Word in less than a week. The zero-day flaw, which is could let an attacker gain remote access to a person’s system, affects Word 2000, Word 2002, Word 2003 and Word Viewer 2003, according to a Microsoft security advisory posted Sunday night. Word 2007 is not affected, Microsoft said. “From the initial reports and investigation, we can confirm that the vulnerability is being exploited on a very, very limited and targeted basis,” Microsoft stated in its advisory. Nonetheless, security provider Secunia said Monday that it is rating this latest Word security flaw as “extremely critical” because it is unpatched and because malicious attackers are currently exploiting the vulnerability. In this case, attackers are taking advantage of a flaw that arises when an unspecified error occurs when processing a Word document, Secunia said in its advisory. Microsoft noted that the vulnerability is different from the security flaw discovered in Word last week, which also is a zero-day problem. In order to activate that flaw, a person would need to open a malicious Word file that was hosted on a Web site or an attachment that arrives via e-mail. The software giant is not expected to have patches available for the flaws when it issues its monthly round of security updates Tuesday. Microsoft will issue six security patches next Tuesday, of which at least two will have a rating of critical. Missing from this list is a patch for a recently discovered zero-day flaw in Word: no updates are scheduled for the Office suite. All of the patches except one will fix various issues for the Windows operating system, with one of those being critical. The sixth will be a critical patch for users of Microsoft’s Visual Studio programming application. While Microsoft never discloses the nature of the patches in order to protect users, sometimes past disclosures of vulnerabilities can give clues to the company’s moves. For example, the Visual Studio flaw may deal with an exploit first disclosed in early November. That vulnerability apparently put users at a possible risk for remote code execution, say experts. Left unpatched is a zero-day exploit for Word 2003 and earlier versions. Earlier this week, the US-CERT team from the Dept. of Homeland Security warned that a previous patch seemed to be ineffective against a “malformed string vulnerability” within those applications. Microsoft said that it was working on correcting the new vulnerability, but apparently the new exploit had been disclosed late enough that the company was not able to issue a patch in time for next Tuesday. It would not be out of the ordinary, however, for the company to release an out-of-cycle patch. In addition to the security update, Microsoft also plans to issue an updated version of the Microsoft Windows Malicious Software Removal Tool. Besides the security updates, Patch Tuesday will be quite busy on the non-security patch front. Four high-priority updates will be released through Windows Update, with 10 coming through Microsoft Update, the company said in its monthly advisory.